BIRMINGHAM, AL (WBRC) - Hurricane Michael made a landfall as a Category 4 hurricane near Mexico Beach earlier today. This makes Michael the second Category 4 on record to make landfall in Florida in the month of October. The other was Hurricane King in 1950. Also, the pressure at landfall was 919 millibars, with maximum sustained winds of 155 mph. This made Michael the strongest hurricane on record to ever strike the Continental United States in the month of October. Bottom line, this was an unprecedented and historic event. Michael is still a hurricane tonight but down to a Category 1 level as it enters central Georgia. Tropical storm force winds, possibly gusting to hurricane force, heavy rain, and the threat for tornadoes will impact areas across Georgia and into the Carolinas tomorrow. The system is forecast to be a tropical storm over central North Carolina by 1 p.m. tomorrow. 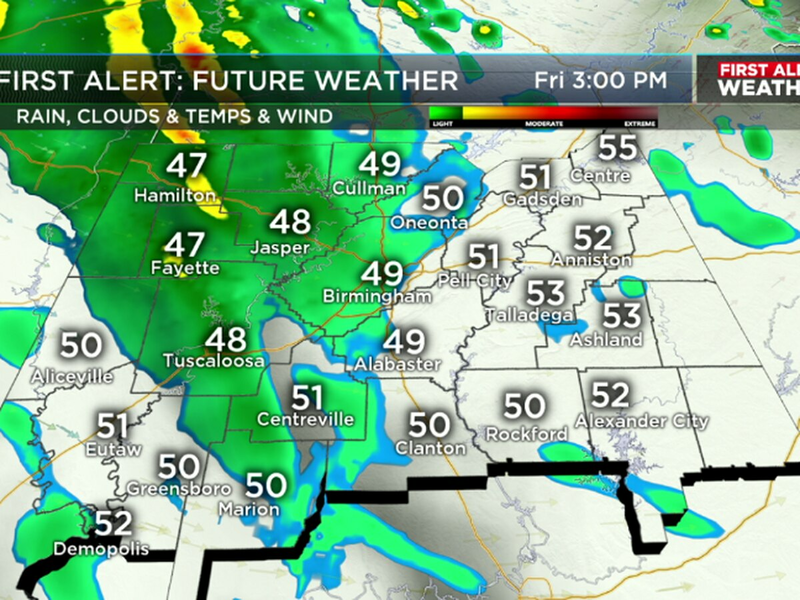 WHAT TO EXPECT IN OUR AREA: A cold front will be impacting our area overnight and into the day tomorrow. We are still tracking rain from Michael over our eastern counties but this wet weather will become lighter as the center of Michael lifts into eastern Georgia. The chance for scattered showers and storms will continue overnight and it may become quite breezy again tomorrow, as the cold front crosses our state. We will have gradual clearing as rain chances end early on Thursday, also plan for highs in the comfy 70s! FIRST ALERT FOR CHILLY AIR FRIDAY MORNING: You may want to dig out the long sleeves because we will have low temperatures tumbling into the 40s and 50s by the weekend. Highs will be in the 70s through Saturday, with more sunshine. I’m expecting another cool start for Race for the Cure on Saturday, with a pleasant afternoon. The weather will be perfect for Talladega and College Football. After a cool start on Sunday, temperatures will top out near 80º. 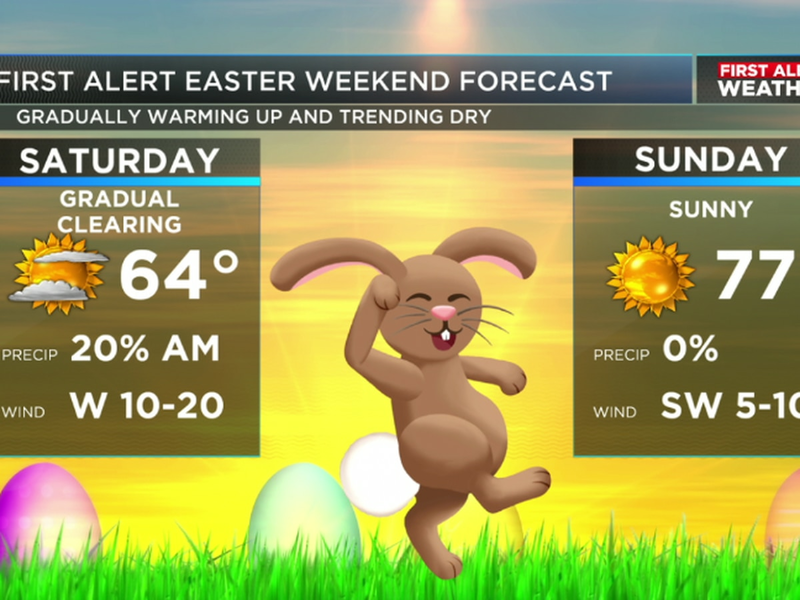 You will need the sunscreen this weekend! Another cold front will bring a chance for showers on Monday and this will be followed by another drop in temperatures by the middle of next week. By the way, we are also tracking Leslie over the central Atlantic. 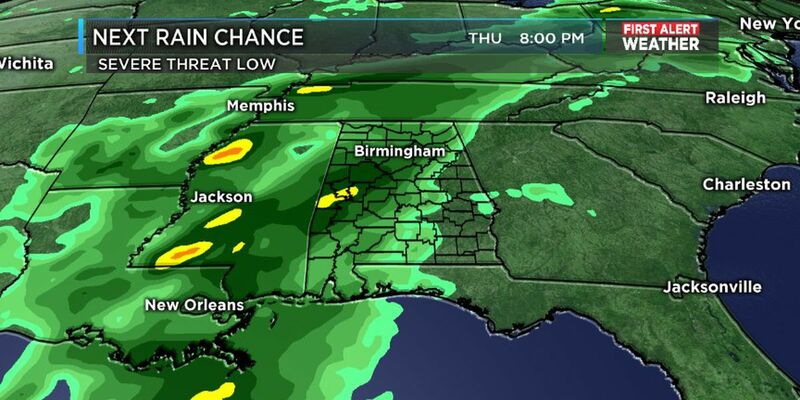 You can find the latest tropical track for this system on our FREE WBRC First Alert Weather App!